Depends. If playing LPs then a linestage or preamp/phono is required. However sometimes for digital a passive is a very good choice. It may not have the body and weight of a good active however offers more transparency and less noise. There are parameters for passive use such as; Digital output must be 2V minimum, preferably 3V or more. The amp should have an input sensitivity of  or less for optimal results. More than  is OK just need more volume. A passive IMO is more useful with SET amps and a high output DAC or CD player. To date the Stevens & Billington trannie [ copper ] based passives and th Dave Slagle Autoformers are the ones to have. Those are NOT thin sounding which is a trait of resistor or LED based passives. Just another way to bring us the music. Re: Do We Need Linestages ???? any experience with the Tortuga? Our forum member Gary has one and likes it. It depends upon how good of sound quality one wishes, and the expense. How much is one willing to compromise? The problem now is that no one has the knowledge or is capable of doing it, so compromise is the deal of today. all the way up. Too much gain and noise, hum, more gain stages are used than needed, with each gain stage (or buffer stage) deteriorating the sonics. A question to ask; how good is an analog gain stage in a cd player? I have not heard one yet that was all that great. Synergy will only go so far. What about an integrated amp, one with the preamplifier included in the basic amplifier? And then using an external passive volume control. Well, one runs into real problems with capacitance, resistance, resonance problems etc, all which take away from the quality of the music. This includes resistance and transformer types. LED types are included. Integrateds have the problem of musical feedback through the power supply as well. Another problem with integrateds is how is it listening tested for accuracy/naturalness, simply auditioning? That is not going to cut it. See saw? Well, that is better than nothing, but one is expending tons of money on different purchases. Look at everything for sale on the forums. That is good for a laugh, but too sad to do so. Let's take separates. The preamplifier can be specially listening tested for accuracy/naturalness due to the lower gain of each. The amplifier can also be, but who knows how, or is willing to do so? The 28db gain amplifier pretty much excludes itself because of its integrated, way too high gain nature. Why all the companies/designers who don't have the know how to provide the best sonics? Why are they still in business? If only the competent were in business, they would have more business, since the amateurs would be gone, and the customer would have a better product. I guess the conclusion is to do the see saw principle and hopefully get a loaner. As you only manufacture ic’s nowadays, have you heard other manufacturers’ amps, integrateds etc and, if so, can you render an opinion on which companies produce exceptional sounding products? Or a phono stage directly into a balanced input ADC to the dspMusik running at 24bit/192KHz like my system. Adjustable gain in 6dB steps over an 18dB range for both the ADC and DAC with the 32 bit DAC 32bit volume controls doing 0.5dB steps, driving the amps directly and doing the digital crossover. Steve that is spoken like a true engineer (I should know, I are one too. ). You are equating success in the market place with designing the best product. Unfortunately this is not the case. Unfortunately success in the marketplace is not based on who designs the best or builds the best , it is determined by who sells the best. In most cases the reality is much to the chagrin of us engineers, most of the time in the retail world, success in the marketplace is more dependent on the marketing department than the engineering department. You can have the best product in the world, but if the word does not get out to the customer base nobody will know about it. This is especially important in this hobby in that a company needs to know which asses to kiss in order to get reviews, endorsements and product placement in the right places. Also marketing is more than just selling. A good marketing department will also guide the company in what types of product will sell in the marketplace. We here would all like to think that it is make the best sounding products and that's it, but there is much more to it than that. Especially in a high priced, luxury product market like high end audio there are many other factors that drive purchase decisions besides SQ. Not the least of these is image. This can take on the form of brand reputation. How many people spend $350k on a sports car because they like the way it drives. I would postulate that a large percentage of those sales are driven by the desire to be able to in front of your friends say to the valet at the country club "Son, bring around my Ferrari." Image can also extend to product decisions. In our hobby a phono cartridge can easily and safely be packaged in a simple cardboard or plastic box. But many high end cartridges come in fancy polished wooden cases than can cost more themselves than many good quality cartridges simply because the marketing folks insist that you cannot hand a plastic box to a customer who just plunked down $10K for a cartridge (or a cable), no matter how good the product is. And to a large extent they are right. I could go on, but the bottom line is that retail companies live and die not based on who has the best products, but rather who makes the most sales. And retails sales are dependent on many factors other than the product performance. It may not make sense to us as engineers, but that is the way it is with the rest of the world. Wow, I just had a thought - Imagine if the world was made up entirely of engineers, our entire civilization would grind to a total halt as everyone sat around discussing every possible what-if and never made a single decision. I guess that is the most important function of the marketing department, they give us engineers deadlines. Spoken like a true ENGINERD! LOL! Interesting replies so far. Steve right about most analog sections for DAC. Unless one pays for it. Ask Dan at Modright that is what they do. Replace the analog section. Steve that is spoken like a true engineer (I should know, I are one too. ). You are equating success in the market place with designing the best product. Unfortunately this is not the case. Never meant that at all, I was not clear, my bad T. With hundreds of so called designers/engineers, each selling X components a year, that mounts to thousands of components that competent designers and manufacturers could be manufacturing and selling, staying in business, and giving the customer better product. In fact, I hate the marketers because they use the fancy talk to push product while demonizing competent companies. I hope I am more clear this time, T.
Unfortunately success in the marketplace is not based on who designs the best or builds the best , it is determined by who sells the best. In most cases the reality is much to the chagrin of us engineers, most of the time in the retail world, success in the marketplace is more dependent on the marketing department than the engineering department. You can have the best product in the world, but if the word does not get out to the customer base nobody will know about it. This is especially important in this hobby in that a company needs to know which asses to kiss in order to get reviews, endorsements and product placement in the right places. Isn't that the truth. Marketing seems to almost always win over designing. I agree and wish I had expressed my post clearer. Even with the competent designers, there is model after model claiming closer to accurate, yet sonic differences. But at least the customer should obtain better product. Cross your fingers. I guess the conclusion is to do the see saw principle and hopefully get loaners. The deHavilland Ultraverve is pretty darn excellent, years ago tested, with the NOS tubes as far as preamplifiers. At least one audio show, their system was excellent for the setup, so I don't know about her amplifiers because of room and speakers used. But the Ultraverve is just super. (Don't know the NOS brands used though, sorry.) Herron was pretty darn good as well. Amplifiers, the Pass 30.5 and Belles Reference 350 were fabulous. Make sure the Belles says "reference 350", not just 350. Don't know about lately brands. I would definitely recommend these Nick. you can replace any piece of equipment in my system, and i could live w/it. but don't TOUCH my melos ma333r preamp!!! unless, of course, you are willing to let me audition the ~$30k purity audio silver statement, and let me keep it instead. if it i like it in my room as much as i liked it in other systems where i've heard it, that is. I just got to the point where it just didn't make sense to go with a conventional preamp anymore. Sold my VAC and my CAT. I use my phono rarely and have many digital sources competing for air time. To keep using an analog preamp would have meant denying my reality - I need to switch between digital sources, not analog. It just made too much sense to go with a Brooklyn DAC+straight to Tommy's latest Megaschino, for what I am up to lately. Super simple. And flashy VU meters!! Can I hear room for improvement? Sure... Who's buying? Clean, very quiet and I'm not chasing that last nth % anymore. I get a bigger thrill from achieving a lot with a little than I do with getting even more but with lots more money! Hence the Raspberry Pis and Allo stuff. Now I have a large pile of expensive analog interconnects I just don't need. Would it sound better going into a nice pre? Quite possibly. Do I want to spend the $$. No, not now. The setup here is PC via USB to DSP crossover to amps and speakers. 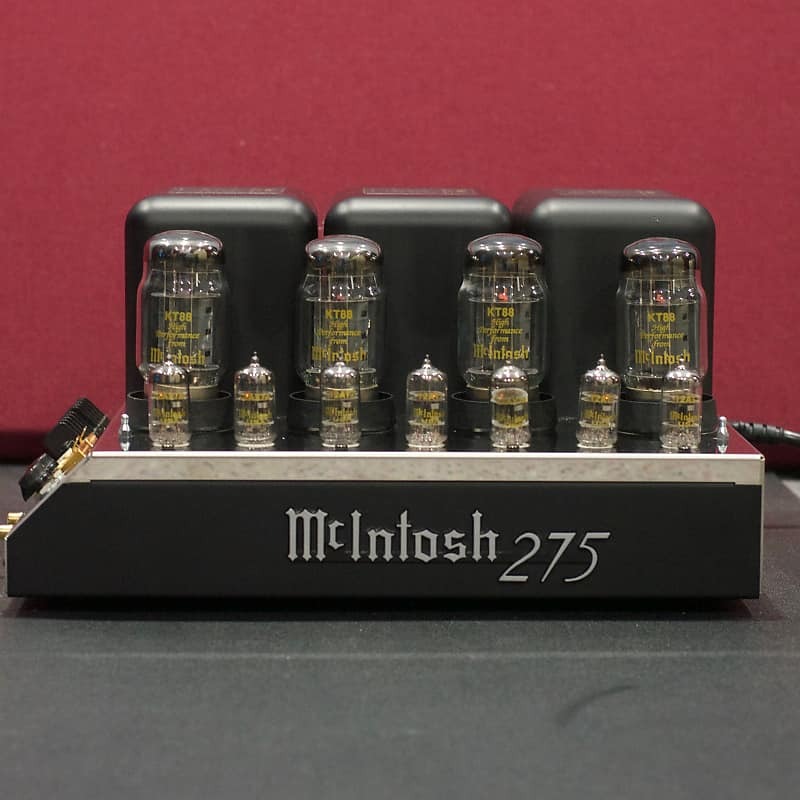 Any analog sources like phono preamp, tuner, etc. go to the 32bit/192KHz minimum phase balanced input ADC. The 4 DAC's all have 32bit, 0.5dB/step level adjustment tied to remote volume control.